This pristine colonial sits on .75 acres of beautifully manicured park-like grounds. 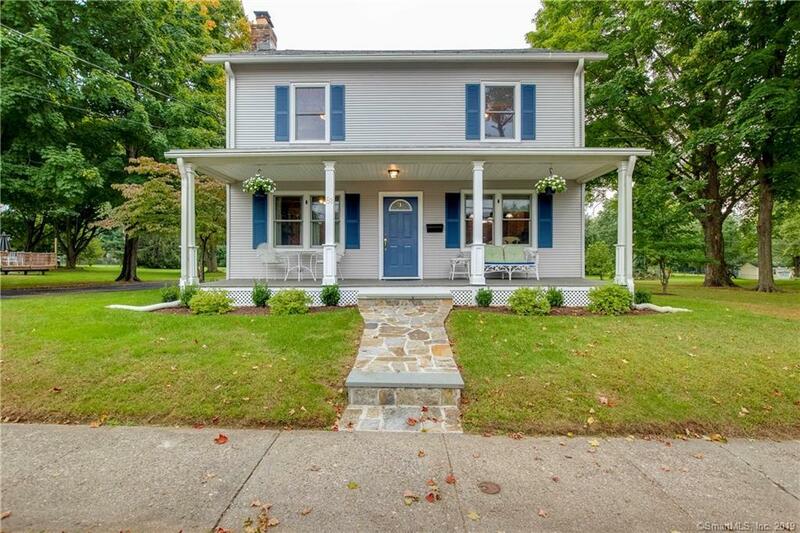 Full of charm and modern amenities, this well laid out 3 bedroom, 1.5 bath home features a full front porch, wide plank floors, a fireplace, new mechanicals and roof, and lots of room for entertaining both inside and out. The walk-up attic is completely finished with two separate rooms that provide the possibilities of extra bedrooms, a rec room, an office, or gym. The updated kitchen includes custom cherry cabinets, newer stainless-steel appliances, farmhouse sink, and a breakfast bar with plenty of counter space, and flows easily into the living room and dining area. Sliders off the kitchen lead to an expansive yard with multiple seating areas for family and friends, and a driveway with parking for approximately 8 vehicles or a 2-3 car garage. Enjoy all four seasons in the beautiful yard with mature trees, gorgeous flowers, and unique plantings - with enough room to play soccer or football! Minutes to train, town center, shopping and beaches.